In 1988, the Nobel Prize was awarded to the United Nation´s pracekeepers. This monument is a tribute to Canada´s commitment to world peace and to all Canadian men and women who have served as peacekeepers. The Nobel Peace Prize was awarded in 1957 to Prime Minister Lester B. Pearson for his work putting together the very first U.N. peacekeepers; the peacekeepers received a Nobel Peace Prize in 1988. Canada contributed significant troops to the U.N. to keep the peace since the very beginning. 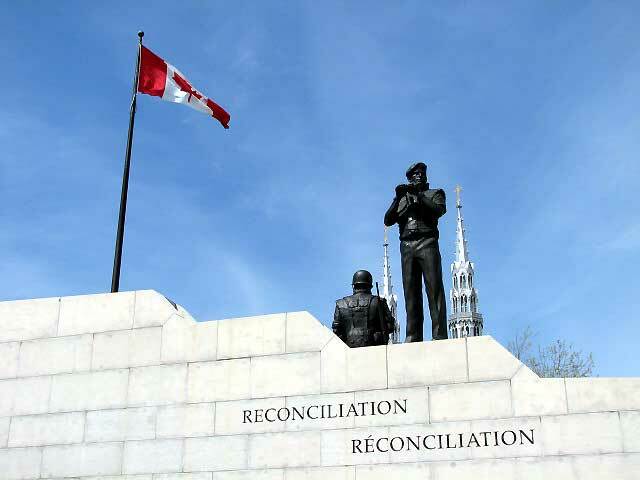 The Canadian monument to peacekeeping honours all peacekeepers.